Carlisle is a city that has seen a great deal of action over the centuries. Celts, Romans, Feuding Border Reivers and invading armies have all left an intriguing historic legacy that makes a fascinating day out. 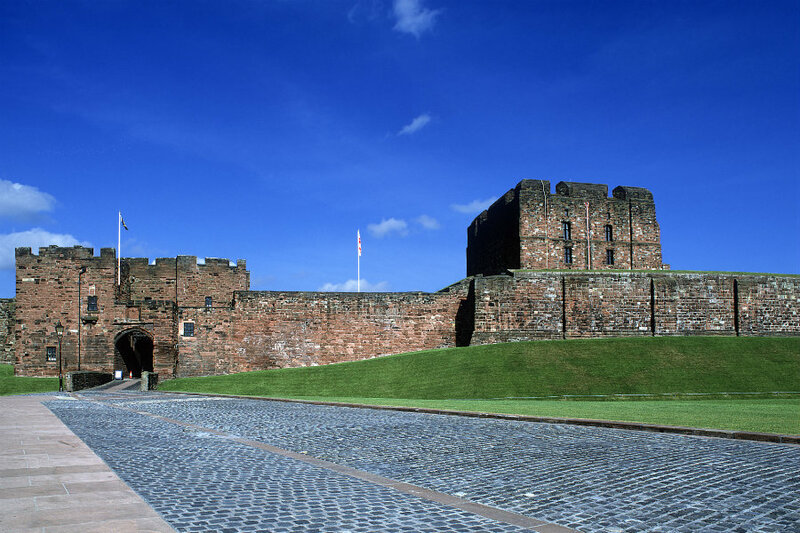 Standing proud in the city it has dominated for nine centuries, Carlisle Castle remained a working fortress until recent times. It has withstood many sieges, held a royal prisoner captive, and been home to the King’s Own Royal Border Regiment. Explore the medieval castle rooms, discover a turbulent history with the exhibition, and walk some of the castle walls. The Castle is also home to Cumbria’s Museum of Military Life. It houses considerable collections of fine and decorative art, human history and natural sciences. It also boasts a wide range of exhibitions and events, brought together in one impressive place. There is something for everyone at Tullie House. Children and adults of all ages will find fun, hands-on exhibits and even games: fire a Roman weapon, climb our life-sized section of Hadrian’s Wall or visit the badgers’ sett! Read more about Tullie House. 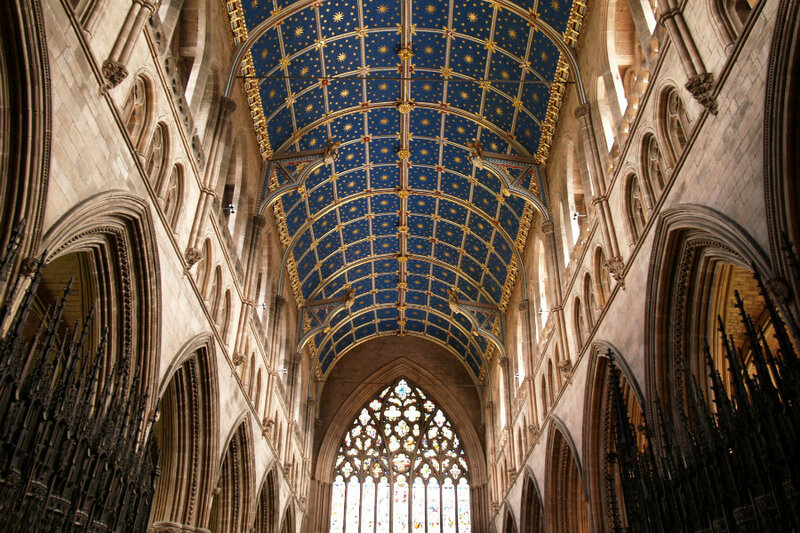 Carlisle Cathedral is one of the jewels of North West England and, after standing on the border with Scotland for almost 900 years, it has a lively story to tell. It may not be the best known medieval Cathedral in England, it is certainly not the biggest, but it delights its many visitors. Enjoy a guided walking tour of the city’s most historic landmarks in just 2.5 hours. Wander along the city walls, marvel at the wonders of the cathedral, peep into the ancient Guildhall and see the lesser known and unexpected St Cuthbert’s Church. Foxes Café is located on the cobbled Abbey Street in the historic quarter of the City close to the Cathedral. It’s warm and inviting with a delicious menu of cooked breakfasts, sandwiches, wraps, salads and loaded burgers to tickle your taste buds. 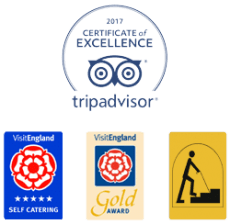 The museum has an award winning, family friendly restaurant which offers a good selection of coffees, teas, light snacks and lunches. Many of our guests like the Pompei Steakhouse which serves amazing steaks that you can cook yourself to your exact specification. You won’t be disappointed. If you fancy some fish & chips, we recommend The Fryary in Carlisle’s Scotch Street in the city centre. Eat in or take away. But make sure you are hungry as the portions are extremely generous, the reviews here.